Stand By Me- Fashion Show Fundraiser Success! On behalf of the staff, volunteers, and clients of Island Community Mental Health (ICMH), we would like to thank John Fluevog, the Queen of Hearts and all of the local collaborators of Stand By Me- A Fashion Show for Mental Health fundraiser. ICMH’s Executive Director, Kim Duffus and Director of Housing, Imogen Burr attended the fun-filled event, enjoying fashions from fantastic local shops and delicious appetizers from Kitchens of Distinction. 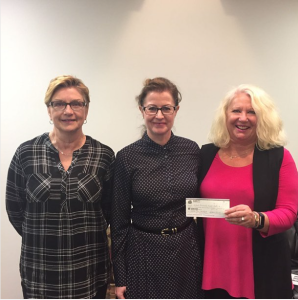 All proceeds raised from the event were generously donated to ICMH. As a local non-profit society, ICMH depends on community support and partnerships for our programs and special projects. This ongoing support from our community allows ICMH to provide evidence-based services to individuals recovering from mental illness. Last year, over 1200 clients received services from ICMH through programs that range from drop-in workshops to employment and education support to housing. ICMH continues to be inspired by the creative ways our community chooses to support the work of our organization and our clients. Thank you, thank you! 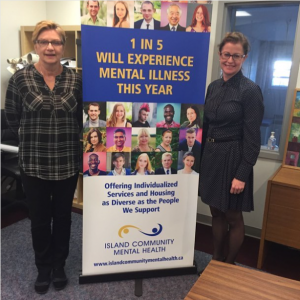 https://www.islandcommunitymentalhealth.ca/wp-content/uploads/2015/01/logo-branding1.png 0 0 Cassana Kelly https://www.islandcommunitymentalhealth.ca/wp-content/uploads/2015/01/logo-branding1.png Cassana Kelly2017-10-30 11:32:202017-10-30 11:32:20Stand By Me- Fashion Show Fundraiser Success!